Adelaide Festival secures MP Julie Bishop as a host of one of its long lunches on the Palais, Pizzateca proposes a pop-up beach kiosk over summer, and plant-based Vietnamese restaurant Metta Sol opens in Goodwood. 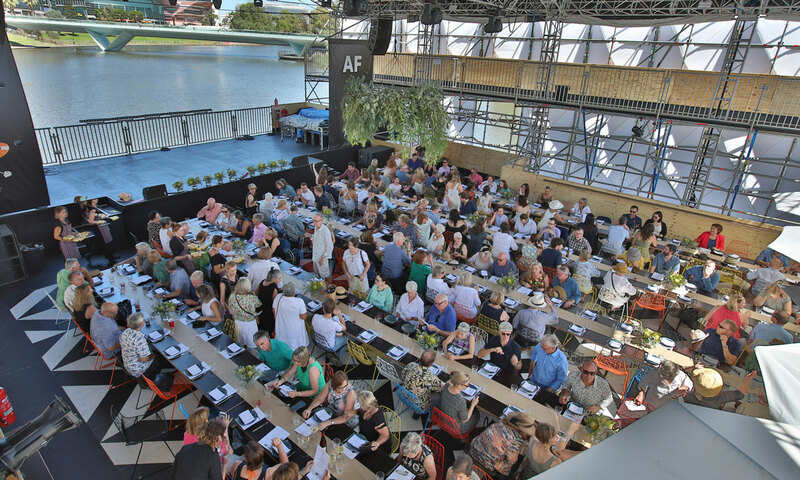 In what it’s dubbed a “kitchen coup”, the Adelaide Festival has today announced that MP Julie Bishop will join journalist and cookbook author Annabel Crabb in hosting one of its long lunches on board the Palais on the River Torrens during next year’s festival. The long lunches were introduced to the festival program in 2017 and have proven exceptionally popular, generally selling out well in advance despite the $169 ticket price. Crabb, host of the ABC series Kitchen Cabinet, will present a lunch inspired by her new cookbook (Special Guest – Recipes for the Happily Imperfect Host), and says she looks forward to seeing “the Adelaide Hills-bred Julie Bishop” at the event on March 9. “It’s been a long year in politics, so an exceptionally long meal seems more than warranted,” Crabb says. The series is once again hosted by event organiser Gill Minervini, who predicts the pair will serve up “a dynamic and delicious long lunch experience”. A previous Adelaide Festival long lunch on the Palais. Other hosts of the 2019 long lunches are Africola chef Duncan Welgemoed, who will be joined by guests The Isango Ensemble from festival show A Man of Good Hope, and Maggie Beer, who will be joined by Robyn Archer performing songs from her show, Picaresque. “This year it is all it is all about blending some of South Australia’s most impressive cooks and chefs with extraordinary festival entertainment, from stories and songs, to music and performance,” Minervini says. 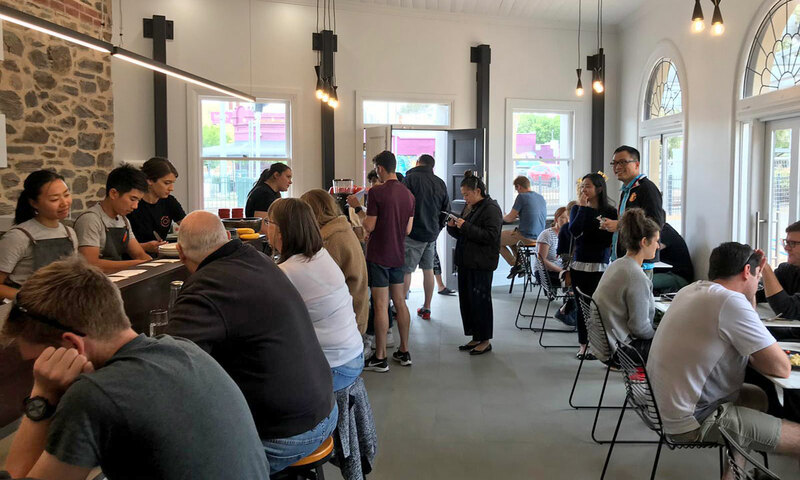 New plant-based Vietnamese restaurant Metta Sol, which featured in our article last month about Adelaide’s vegan food scene, has now opened on Goodwood Road – and early indications are that it’s found a ready market for its fresh and flavoursome offerings. “Our pho is one of our best sellers, and our Vietnamese iced coffee, but having said that, our dumplings keep selling out and, quite surprisingly, a relatively unknown dish – the mung bean sticky rice – has attracted quite a lot of interest as well,” says David Nguyen, co-owner of the restaurant with friend Cindy Nguyen. The pair, who are both vegan, have sought to adapt and develop the flavours and dishes they grew up with to suit a plant-based diet. The Metta Sol menu has a healthy, wholefoods focus, and includes options ranging from artisan ciabatta rolls with fillings such as lemongrass tofu or a mushroom medley, to a tapioca chia pudding and rice noodle rolls. For the mung bean sticky rice, sticky rick is infused with mung bean and pandan leaf and served with a mushroom medley, fresh cucumber, crispy onions and optional chilli paste. Metta Sol, at 98B Goodwood Road, can seat 20 inside and is currently open for breakfast and lunch, but Cindy and David hope to eventually open in the evenings as well, offering a different kind of dining experience. Popular McLaren Vale restaurant Pizzateca, operated by the Mitolo family, wants to operate a kiosk at Aldinga Beach over the summer. While the restaurant has a permanent home in a weatherboard cottage in a picturesque setting on Chalk Hill Road, it also regularly pops up as a mobile vendor at various other places and events such as this weekend’s Gilles at the Grounds Bazaar at Adelaide Showgrounds. The proposed beach kiosk – which it wants to operate Wednesday-Sunday from mid-December until early March – would be in the car park and grassed area at Clarrie Eatts Reserve off Norman Road at Aldinga Beach. “The Pizzateca Seaside Kiosk aims to be a small-scale replication of the popular McLaren Vale Pizzateca restaurant,” according to the proposal, which is open for feedback on the Onkaparinga Council website until this Friday. It was submitted in response to the council’s call for expressions of interest from people with proposals to activate Onkaparinga foreshore and coastal areas over the coming summer. This is a separate initiative from its Mobile Food Vendor Program under which 29 pre-approved sites along the coastline – including several spots at Aldinga Beach and Port Willunga, as well as at Christie’s Beach, Moana, Noarlunga and Seaford – have been allocated to allow approved food trucks to operate. Alison Hancock, the council’s director of corporate and city services, told The Forager that six food tracks traded over summer last year under the Mobile Food Vendor Program, and it is anticipated that between eight and 10 will operate during the coming summer. She says successful vendors so far include The Old School Bus, Zak’s on Wheels, Barclay’s soft serve ice-cream, Liquid Delights, Spinning Spuds and the Ice Cream King of Belair, with the trucks each issued with a permit enabling them to trade at any of the 29 approved sites. While the program has caused angst among some local bricks and mortar cafes and restaurants who fear it will affect their trade, Hancock says the council believes a diverse mix of businesses can draw more people to the region “to discover something different, and can keep them coming back to explore more of what’s on offer”. “That’s why we see positives in a blend of both mobile and bricks and mortar business. The trial period is helping us to find the right balance of this mix.